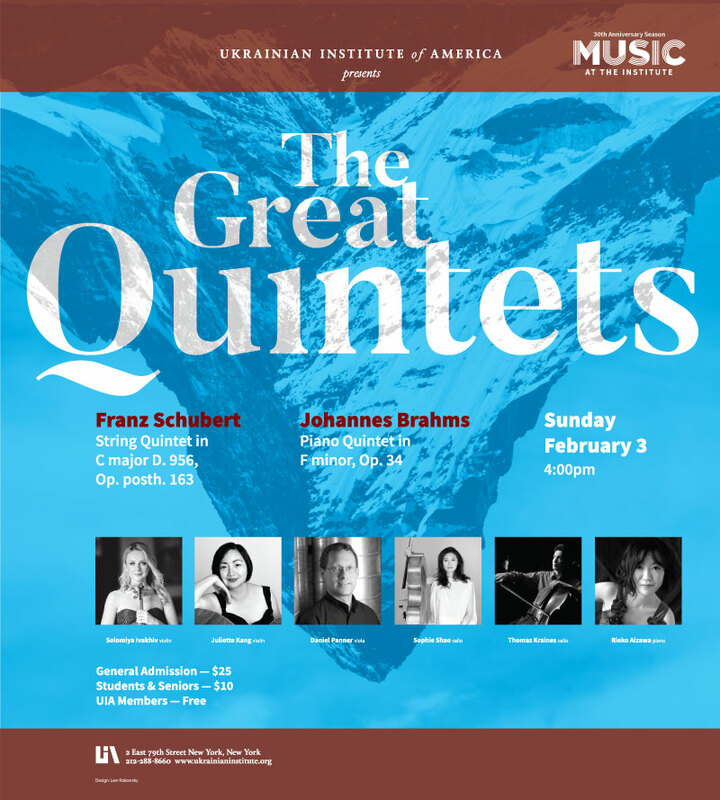 “The Great Quintets” will feature Solomiya Ivakhiv, Juliette Kang, violins; Daniel Panner, viola; Sophie Shao, Thomas Kraines, cellos; Rieko Aizawa, piano. Franz Schubert String Quintet in C Major D. 956 Op. posth. 163. Johannes Brahms Piano Quintet in F Minor, Op.34. This collection includes what is for art historians one of Archipenko’s most significant works of art. Paintings of important luminaries from Ukraine’s past. An exhibition centering on a retrospective selection of paintings by the Kyiv-based Ukrainian artist. Co-curated by Walter Hoydysh, PhD, director of Art at the Institute, and Tamara Strypko, this exhibition marks Mr. Marchuk’s first solo showing with The Ukrainian Institute of America. Please join us on Friday, May 10th at 6:00 pm, as we celebrate “Memories,” an exhibition of mixed media portraits by Ukrainian-American artist George Thaddeus Saj. The visitor will be met with thirty-four wall-mounted works rendering both modern and naive elements – human and animal faces characterized, all blending into a collective visage. Midnight in Chernobyl: The Untold Story of the World’s Greatest Nuclear Disaster is journalist Adam Higginbotham’s definitive, years-in-the-making account of the Chernobyl nuclear power plant disaster—and a powerful investigation into how propaganda, secrecy, and myth have obscured the true story of one of the twentieth century’s greatest disasters.